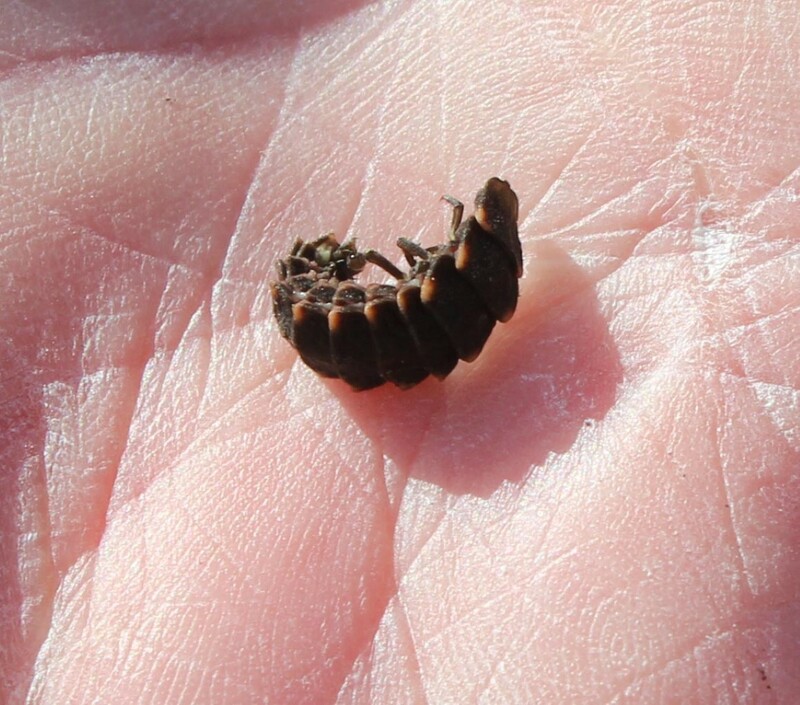 Great to hear from you and what a fantastic record about the Glow Worm larva and like you mention it is probably the very first ever recorded on Holme Park Fell. Also after reading a more recent article about Glow Worms being present over by Warton Crag, I felt reasonably confident that they must be on Hutton Roof/Farleton as well, and have for a year or two promised myself to try and stop up a little later and go up to Plain Quarry for a check around on one of these summer evenings. But somehow never as yet managed it! So for you to have now been able to confirm this on this side (Farleton/Hutton Roof) is absolutely brilliant news and thank you so much for letting me know and also for sending the accompanying photo (shown above). Yes your right things are just about kicking off now and everything will be going mad in another week or two (especially birdwise! – cant wait...). I am hoping in the next few days to try and get out more to gather numbers and notes on the “Spring Migration” movements that go over Hutton Roof. I do hope it will warm up soon to help the species with confidence especially the upland species such as the Skylarks and Meadow Pipits. I have not seen you to tell you but I did have a extremely early Skylark on February 10th singing his little heart out on Dalton Crags (unforested), but sadly the day after it went very cold yet again, and “Sky” was not seen again after that, he probably headed back to the coast where he will have over wintered. You mention about Skylarks singing away on the Bolton le Sands saltmarshes, that also very interesting and I can also confirm that I do get them on that line but further up on the Shore Road at Carnforth near to the race track area. Probably some of our local birds could well overwinter around this area, but have always been led to believe that the majority of our local birds over winter down by the Dee Marshes, and that the ones we see on the coast local are from further North, although I can’t say I have any proof of this, it’s purely what I have been told. No Shrike reported, at least up until yesterday. When he has appeared on Hutton Roof, by far the most regular date of arrival has been the 7th March which on no less than three occasions has been the case (last year was a over winter for one bird and a second bird joining from about mid March. Obviously I will gladly let you know should the welcomed occurrence happen! I always enjoy our days out on Hutton Roof and hopefully we will be able to arrange a mutual suitable day soon. 9th March 2015: Since posting its now come to light that Steve Matthewman had a Glow Worm at 2300hrs on June 16th 2011 whilst he was travelling down from the Trig Point to Plain Quarry. For me its now becoming clearer each year that our local ROOKERIES are quickly depleting. I noticed back in 2014 that the established nest at the bottom of Tanpits were not present back in 2015 and again this year. Also noticed that the Rookery next to the Burton Memorial Hall had gone down from about six nest to two last year and again its the same this year. Also noticed that the large Rookery close to the Burton In Kendal services had also depleted by approx 50 per cent. Wonder what the reason is? could it be the Jackdaws are just too much competition?